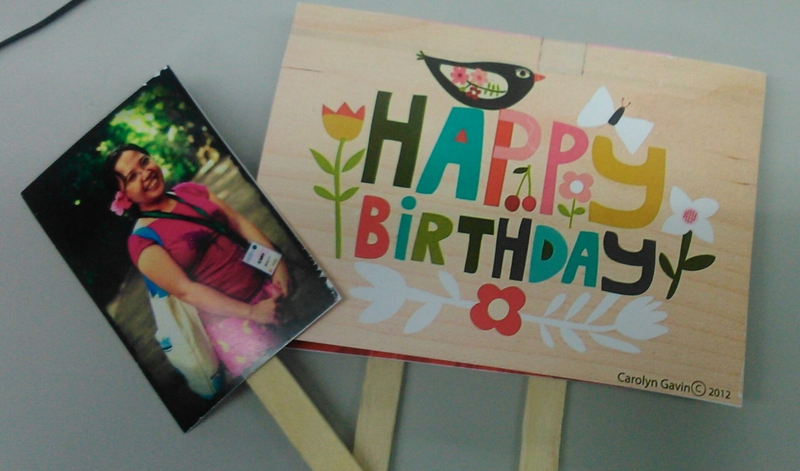 So this morning, I finally received the usual birthday greeting card from my office mates. I don’t want to sound ungrateful but as I browse through the birthday greetings from the people I consider my friends, I felt a bit…. I don’t know. Maybe, sad? I appreciate their gesture and messages. I really do. I know I should not feel this way because I know that they really mean well when they said that they want me to finally have a ‘love life’ this year and I know they said it out of concern. But reading their messages brought me this feeling of alienation because having a romantic relationship is not really my heart’s desire. And I don’t understand why no one really believes me even if I already told them about it a hundred times. Well, maybe I can’t blame them because I haven’t shared to anyone from our office my deepest dreams and ambitions. I have assumed that even if tell them, they won’t understand and no one ever cared to ask so I’d rather not talk about it. Not with them, at least. But what are my heart’s desire really? Some of my bookish friends actually asked me the same question last year, on the night before my birthday. They asked me what material thing do I really want to receive as birthday gift for myself that year. I wasn’t able to answer it because I can’t think of any material thing that I need during that time. And I know in my heart that what I’m really praying for is anything but material possession. That prayer is still the prayer of my heart this year and now I’m sharing it so that you can also pray for me. I only want three things actually: salvation for my entire family and friends, growth, and multiplication for myself and our network. My desire is to really become finally fruitful in my personal ministry this year and I praise God that He’s starting to grant this desire little by little. I want to become more busy both with the King and His Kingdom this year. I am also praying that God will continue to work in my heart so that I will be filled more with passion for Jesus and for the lost. I’ve already settled it with God 2 years ago that this is what I really want for my life: ‘to fulfill Christ’s Great Commission by making disciples and reproducible disciple-making ministry’. And I know that God will accomplish it through me. What about you? What’s your heart’s desire? I hope that you will finally have a ‘love life’ this year. Happy birthday!